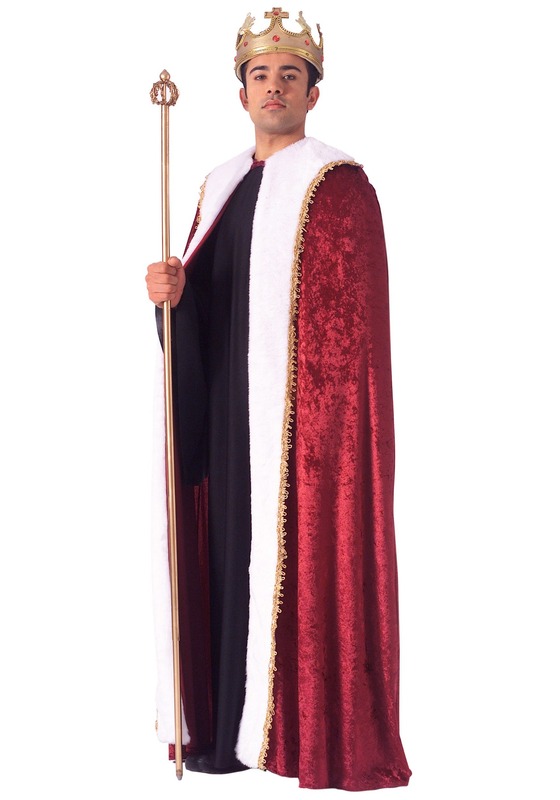 This King of Hearts robe may come straight from the beloved classic Alice in Wonderland, which is a great reason to get all flushed about it when you where it to your Halloween bash, a guaranteed full house of characters. We know, we know, sorry. In all seriousness, we’ve always felt like the King of Hearts didn’t quite get his moment in the spotlight. After all, he’s kinder than the Queen of Hearts, he’s more beloved by his card subjects, and he’s a trusted judicial figure in town. But you know our society, always glorifying a drama queen—that’s why we think it’s time to proclaim to the world who really wears the robes in Wonderland (maybe just don’t proclaim it too loudly, lest the queen hear). Top this maroon crushed velvet robe with a crown and scepter and you’re bound to turn a few heads, we just hope they aren’t rolling on the floor after your wife gets done with them!